Charted Waters Australian Fishing Maps. The smarter way to fish. 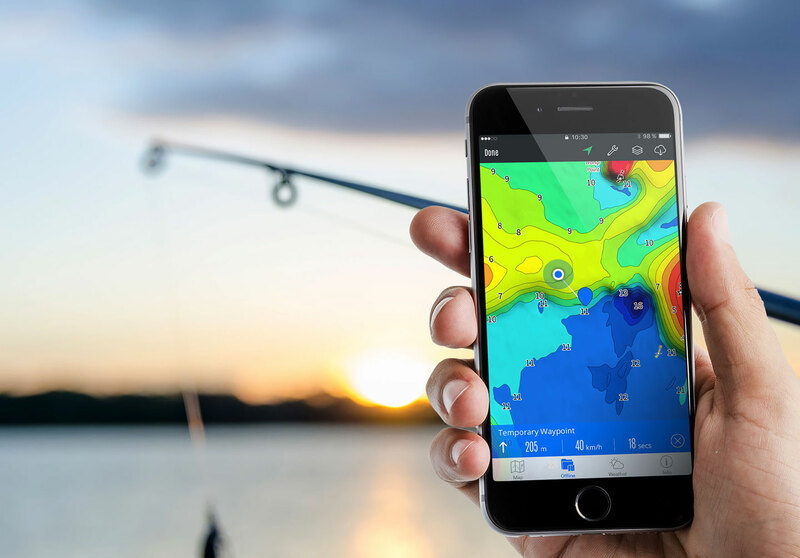 The smarter way to fish. 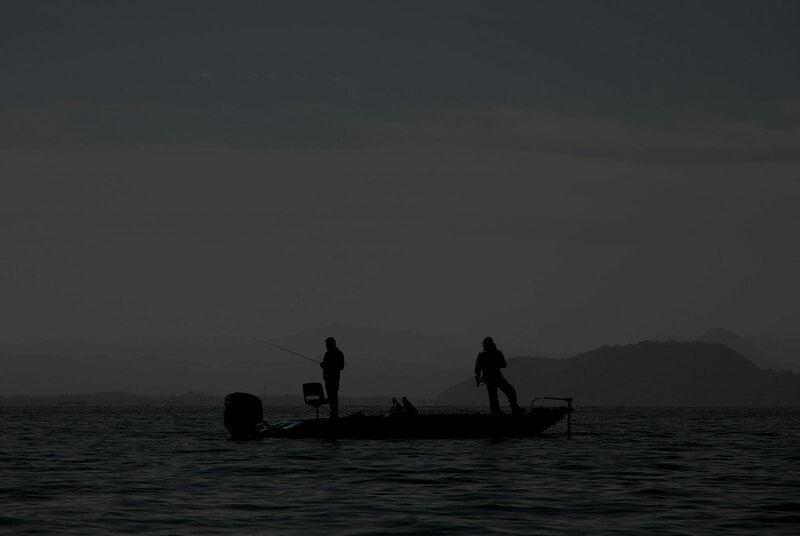 Fishing maps of popular NSW and Victorian lakes and estuary's to help you find and catch more fish. 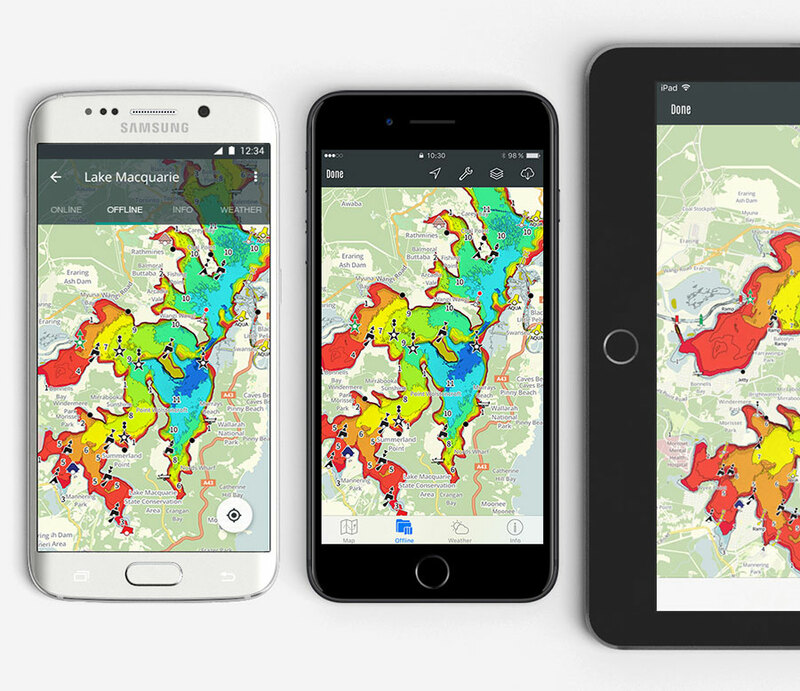 Fishing maps of popular NSW and Victorian lakes and estuary's. Meet Charted Waters... your companion on the water. There are two ways to access our maps - sign up and download the App or purchase a Map Card for your sounder. The app gives members access to all our maps & features. Online or offline, depth contours, deep water, markers, structures and more. All you need for a successful fishing trip. Low water aerial images, high quality depth data and bathymetric imagery help define sand bars, edges, drop offs & channels. Finding that next great fishing spot has never been so easy. 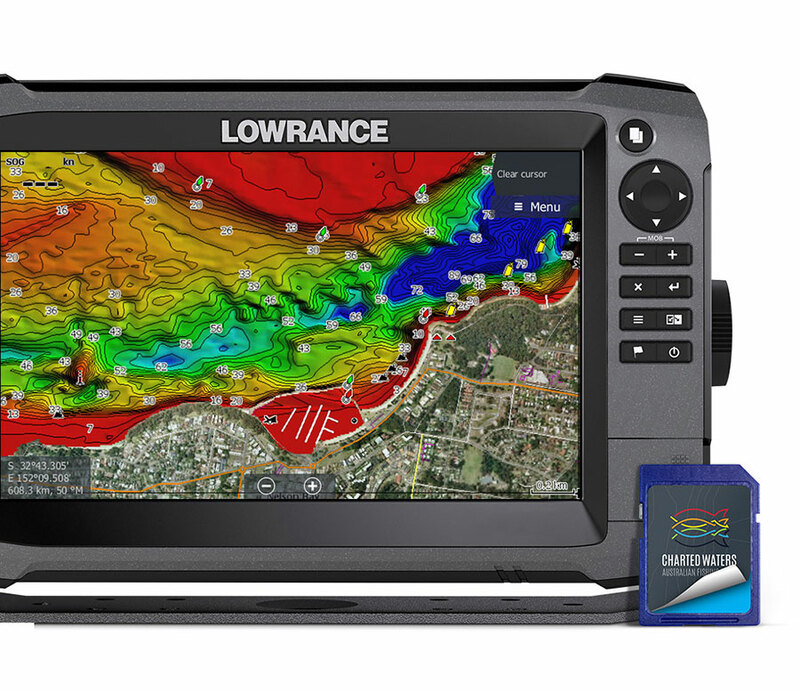 Compatible with Lowrance, Simrad & B&G sounders. 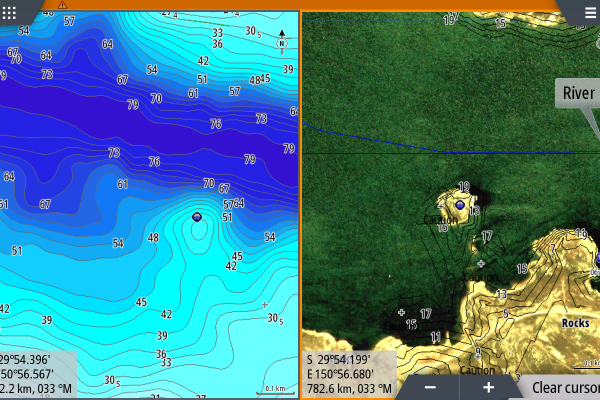 Whether you’re trolling, casting or bait fishing our maps are a game changer. After hundreds of hours of collecting survey data, drawing and plotting a stable of lakes and estuaries, an idea started to become reality. We have now digitised our dream and are thrilled to share it with you - enjoy! Among our favourites are Tuross Lakes, Wagonga Inlet (Narooma) and the king of the stable Lake Mulwala. We're expanding our map data all the time and look to have charted waters for the majority of Australia and beyond. Stay tuned. In 2008 two frustrated fishermen were complaining that few, if any Australian lakes and estuaries were mapped for fishing. The USA had plenty of lake coverage and yet here we were sitting in the middle of Lake Mulwala on a moonless night, in the shallows, surrounded by standing and fallen timber wondering if we should start the extremely slow trip back to the ramp. As any of you who have fished Lake Mulwala would know, this is usually a pretty daunting task when visibility is poor. This was the scenario that started a very frustrating, yet rewarding 5 year project. This upgrade has made it a heap more user friendly, used it the other day to find a shallow ledge and cracked three cod in four casts! A very handy tool for anyone that fishes Mulwala. This really is an unbelievable product- make sure you check it out. Reveals an amazing amount about Mulwala. Strongly recommend all fishos to have a good look at this product. I have been using the charts for more than 2 years now, and yesterday upgraded to the Satellite version which I'm very excited about using this cod season. The ability to look at both marked and unmarked channels, depth contours, waypoints, previous catches and a few thousand lay downs at the touch of a button gives me all the extra time to concentrate on the important thing CATCHING fish! I highly recommend any keen angler who fishes Lake Mulwala to give it a go. You won't be disappointed.